A 12" dress metal chrome hanger with loop. Heavy duty metal helps to hang nearly any garment, loop hooks can create a unique look. 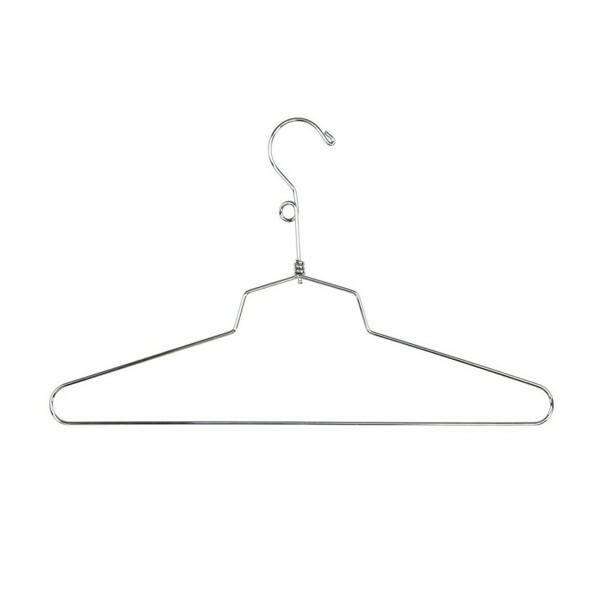 This metal dress hanger is a wise and economical choice as it is durable and versatile hanger for a stylish, organized closet.